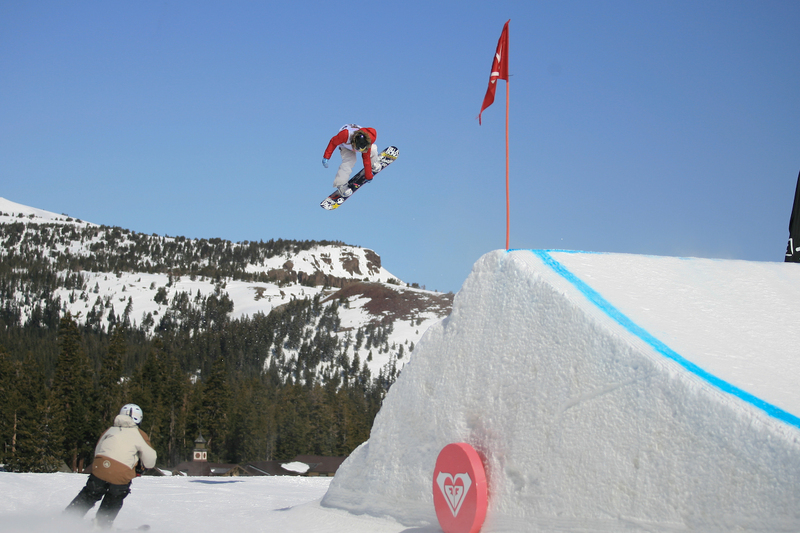 Dew Cup champ Jamie Anderson continued her reign at the Roxy Chicken Jam this weekend, taking first in the slopestyle competition. 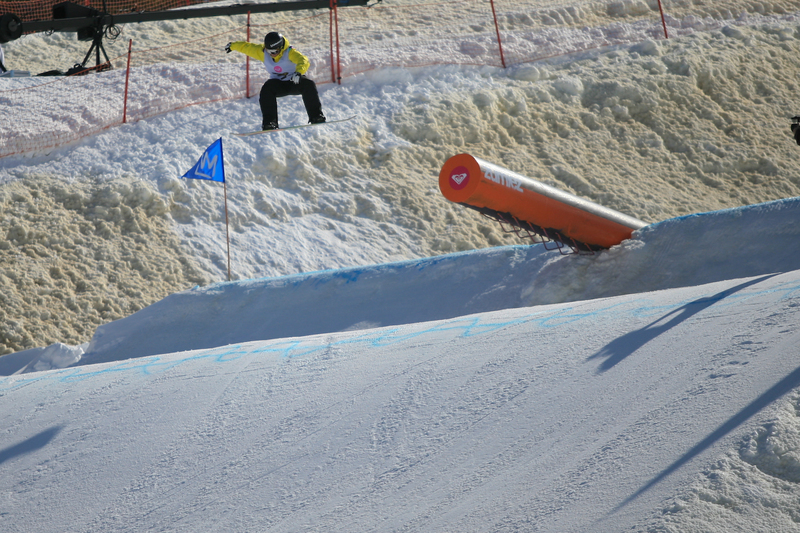 Also on a podium spree is Dew Tour rider Kelly Clark, who added Saturday's superpipe event to her long list of wins this season. 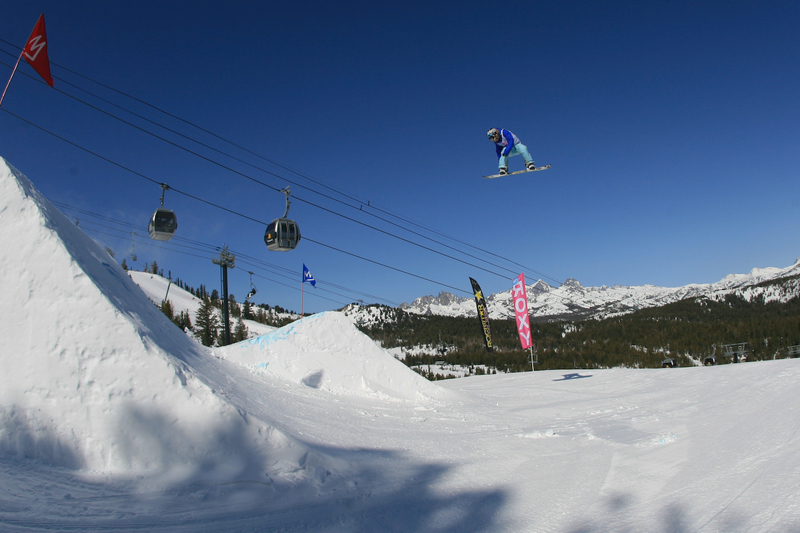 California's Mammoth Mountain was host to the sixth-annual event, which closed out the TTR season. 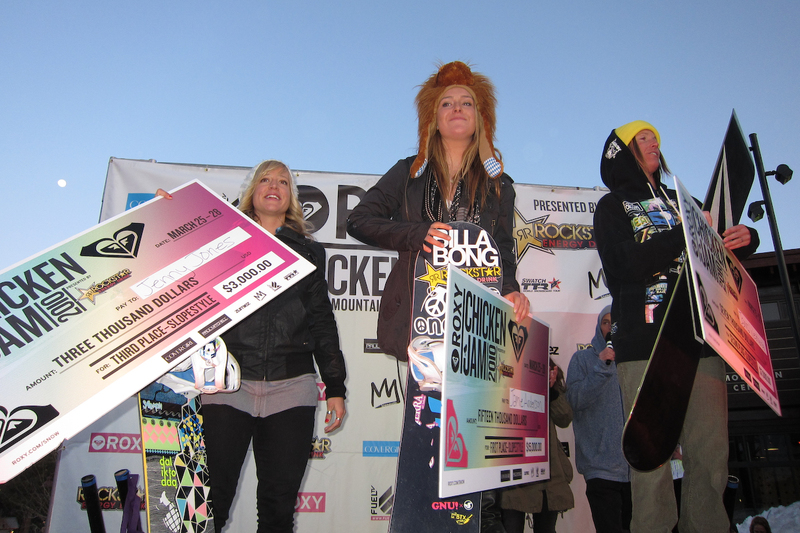 Finnish rider Enni Rukajärvi was named the World Snowboarding Champion based on overall points earned. 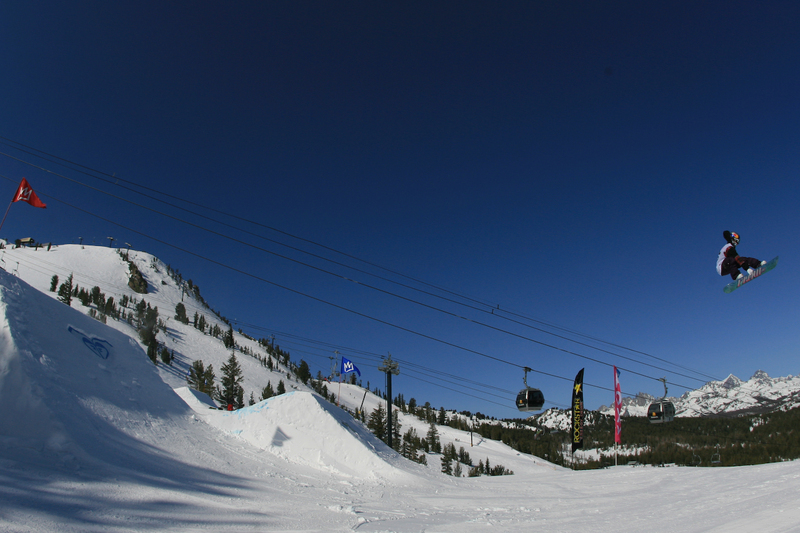 In the slopestyle finals, Anderson landed a clean and stylish run that included a backside 540, switch backside 540, and a cab 540. She also threw down a boardslide 720 off the rail. Janna Mayen-Weatherby was second and English rider Jenny Jones was third. 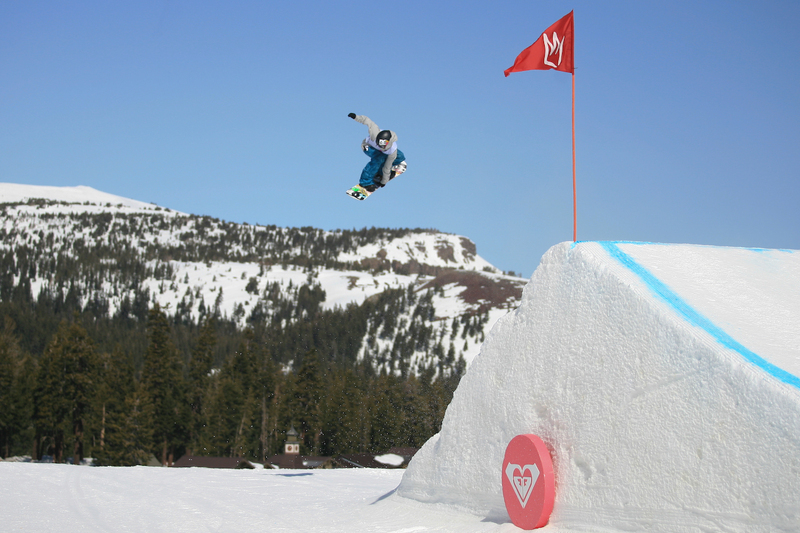 Jones finished this year's Winter Dew Tour season ranked second, just 15 points behind Anderson. In pipe, Clark continued her huge-flying ways with a massive frontside 900 and a frontside 720 to cab 720. Rana Okada was second and Elena Hight was third. 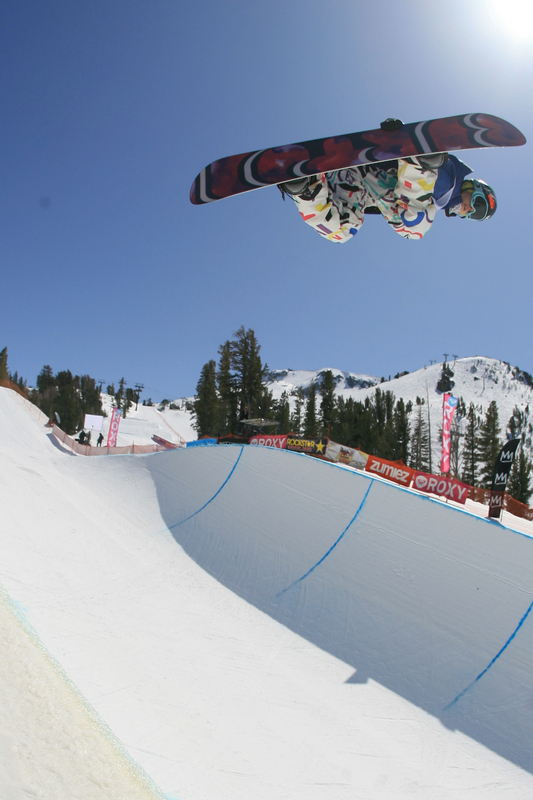 Hight topped the Dew Tour podium in January at the Wendy's Invitational superpipe event in Utah. 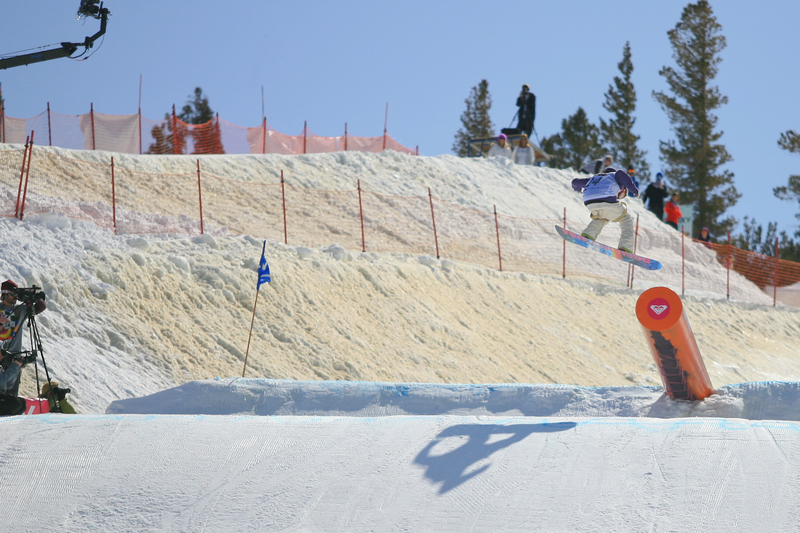 Also on hand at the Chicken Jam was Olympic gold medalist and Roxy team rider Torah Bright, who got her shred on and did a demo during the event to show her support for the competitors.